We interviewed SSNL grinder ‘kick2dante’ on relocating to the Philippines for online poker, where he’s been blogging since 2013. Prior to that he was in Cambodia for two years, check out that interview here. – What set you on moving to Phils? After 15 months of playing live in Vegas full time I couldn’t take it anymore and needed to get back online. I had known some Filipinos and they were really kind so I had it as a possible option when thinking of places to live. The more I researched it the more I seemed to like it. One of the main pluses is that english is pretty widely spoken and understood. They don’t speak perfect English but certainly enough to get by. It is also a very cheap place to live and since I moved to Asia with a little less than 6k (liferoll, not just poker bankroll) cheap was very important. After a year in the even cheaper Cambodia I finally landed in the Philippines. Weather is nice, the humidity takes some getting used to and at first 88 degrees with 90% humidity feels hotter than Vegas, but after a year it’s not bad. There is a rainy season but it’s similar to what you get when you visit Florida. It will rain for an hour or two every day for a few months, and there are a couple days where it won’t stop but its not that bad. Luckily the cities that most foreigners live aren’t really in the path of the typhoons. – Is the Philippines a third world country? Yes the Philippines is a third world country and there is poverty all around you unless you stay in a few tiny little areas that are really nice. Any time you want to escape the poverty you can go to a mall which will be just as nice, or even nicer, than the malls in the US. This is where I get most of my food because I don’t really trust the local restaurants or markets. One thing about the Philippines is that they have no shame at all when it comes to asking or begging for money. In any poor country you will come across some beggars but it is on a whole different level here. Just say no or “wala” and keep walking. If you want to live here and not be around the poverty you can just live in the nicer areas of the city and you won’t see too much of it. 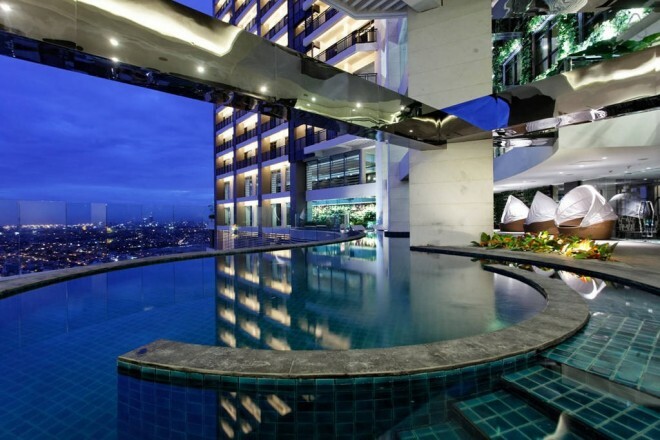 On your first time in Manila you are definitely best off staying in Makati which is the most luxurious area. For example most poker players just live at Gramercy, 71 floors with a gym and pool on the 35th. Studios for around 30k pesos ($670), expensive for the Philippines but cheap by western standards. – Is it safe in the Philippines now? It is pretty safe but it is also like anywhere else that has a lot of poor people. If you show off your money and put yourself in a risky spot someone might take advantage of it. I never have any problems but my clothes cost a total of like $30 for everything including shoes, my phone is $15, and I almost never carry more than $20 in my wallet. When people see me they don’t see a big score so they have no reason to even try. Asians are very passive people, the odds of getting in a fight or some random act of violence are very low. If you get robbed it’s because you looked like you had money and were in the wrong place at the wrong time. There are also many people on the streets all the time and they aren’t going to do anything in front of so many eyes. Just stay on the busy streets and have some common sense and you should be ok.
– Can I play on PokerStars in the Philippines? There are no problems playing on PokerStars from the Philippines. There are some minor problems with depositing because you can not use Skrill from the Philippines and Neteller does not show up as a payment option in the Stars cashier when you are in PI. So if you will be coming here from another country that also has Stars you should try to have your account loaded ahead of time. There are two sites that you are not allowed to play on in PI and those are iPoker and Bodog. You may be able to use a VPN to play on them, especially iPoker, but I didn’t try. – How to get set up on PokerStars as a relocating US grinder? To get set up on Pokerstars you will need to send them a copy of a lease, a bank statement, and receive a phone call to a land line phone. This can be a bit tricky in the Philippines because almost all banks make you have an Alien Registration Card to open up an account, and you aren’t supposed to be able to get your ACR card until you have been in the country for 2 months. You may be able to go to immigration and request an ACR sooner but I would not count on being able to get one. – Best times to play poker online? I am sure that before Black Friday overseas players used to have to set their playing schedule based on night time in the US. Well now it is Europe that dominates the market so you really need to be playing when Europeans are playing. This means that you either need to stay up all night and play until the early morning, or wake up at 4 or 5am and start then. Another thing I have noticed is that the games are far better in the months that it is cold in Europe. When people are frozen into their homes for a few months they have nothing better to do than get drunk and gamble online. Once the weather gets nice the number of fish decreases a lot. I have now put in three years in the post Black Friday landscape and all three have been the same. Build the roll in the winter and scrape by through the spring and summer months waiting for the good times to return. If you are planning on taking a few month online poker business trip you should definitely do it Oct – Feb.
– How do you deposit onto / cash out from poker sites? It is a bit harder in the Philippines because Skrill is not allowed. I have even tried using a free VPN for buy ins and Skrill still would not work and knew I was in PI. Neteller works but for some reason it does not show up as a buy in option on Pokerstars. However Neteller has worked for 3 or 4 other sites that I have tried. – Is it illegal to play online poker in the-philippines? No it is not illegal to play online poker in the Philippines. Gambling is legal here and there are many casinos. Online is fine as well. – Advice on playing live poker in the Philippines? There are a few places to play live poker in the Philippines but if you want to play for decent stakes you will need to be in Manila. There are a few rooms around Manila that will almost always have a 50-100 (a little bigger than $1-$2) going and that will often have 100-200 (little smaller than $2-$5). You can sometimes find 200-400 as well but it is not consistent. For the bigger games your best bets would be Solaire but the games don’t always run there. Resorts World is probably the best all around casino for poker as it should have the most games and also sometimes gets the bigger games. From time to time they will even have PLO. Metro Card Club is another option but I think it usually has smaller games. There are a few places to play in Cebu but really the only one with 50-100 is likely to be Waterfront Casino. They hold APT Philippines there every February so you may want to take a trip then to check it out. In Angeles there are a few poker rooms around, currently the most popular is located right on Walking Street. – How much does it cost to live in the Philippines? This is always a tough question to answer because everyone is different. I am not materialistic at all and don’t go to clubs or discos or bars so I have a different budget than most. I usually spend around $900 a month wherever I live but I have never spent much time living in Manila and if I did my budget would probably be around $1100 a month. So you can use that as a baseline for your bare necessities budget and add on whatever money you would spend on materialistic things, night clubs, or taxis. I generally take jeepneys or walk most of the time, even though taxi’s are cheap at $3 a ride if you take them twice a day that adds 20% to my budget, and I like to walk anyways. One thing about the Philippines is that the price for apartments is pretty terrible. In Manila you will likely need to spend $500-$600 a month to get a place in a nice area, and that will be a small apartment on the fringes of Makati. You can absolutely find places cheaper then that but they are probably not anywhere that an expat would want to live, at least not when he first got over here. In Cebu if you want to be near Ayala or IT park (the two nicest areas of the city that are also near the Waterfront casino) you will probably need to spend at least that $500-$600 a month as well. In Angeles you can get some places in decent locations in the $400 a month range but they are still overpriced. You can find much cheaper options in all of these cities but they will either be far away from places that you will frequent, or just not be very nice in general. Even hotels in the Philippines are way to expensive, in general you have to pay 1.5x or 2x as much as you would pay in Thailand, and that is for a lesser quality place as well. Food is quite cheap. You can eat at 99% of the restaurants in the country for $5 or less a meal. There are some nicer more expensive restaurants as well, but for the most part $5 a meal will get you some good food. In the Makati and Greenbelt areas of Manila you will find some more expensive places but there are plenty of $5 spots as well. I generally eat two meals a day and 1 snack and spend a little under $250 a month on food. I do use some nit techniques though like always getting take out at home so I don’t pay for drinks (I mostly do this because of my eating schedule and needing meals overnight) and I also will get some meals at restaurants that serve big portions and then by a seperate chicken breast for 50 cents at a grocery store and turn one meal into 2 for an extra 50 cents. I am sure you could cook at home and eat even cheaper but its really not worth spending 30 minutes cooking and cleaning to save $2. Visa’s are pretty cheap and cost about $40 a month on average. The prices fluctuate depending how long you have stayed in the country so far. Taxi’s are very cheap and the jeepneys are basically free (20 cents will take you to the other side of the city.) You can find plenty of cheap clothes and personal items if you want to save money in that way as well. Philippines dating sites are about $30/month, and that helps save time and money with meeting chicks. The average Filipino makes $200 a month so its really not hard to see how an expat can get by on $1,000 a month. I would say if you have never lived in Asia before you should be prepared to spend $1,500 a month and see if you are comfortable getting by on less. For the grinder on a budget, I enjoyed streetside $1.30 Lechon portions. ‘Here’s your plastic glove with that Sir’. – How to set up internet in the Philippines? Internet would be one of the worst things about the Philippines. You can not rely on any of the 3G or 4G. One might work in one location and be awful in another. However if you get your own PLDT line you should be ok. Since I like to move around a lot and don’t want to sign a lease that also means I don’t want to get my own landline connection with a 1 year contract. That means I need to always test the internet of any place I stay, and make sure I have a 3G option for all of the different companies because you never know which one will work in your new location. One positive about working the night shift is that is when 3G works much better. During the day when everyone is using them you will have no chance of relying on them with money on the tables. At 3am you should be able to find one that is working. PLDT is widely thought of as the best landline in the country. If I were to ever get one that would be who I would go with. Since they are pretty cheap ($30ish a month) you might even want to try and get a second land line as well if you come to find out that PLDT has days where it isn’t reliable. You can eventually make the internet work but it is a bit of a hassle. Some MTT / SNG grinders use a tool to combine their 3G and Wifi for better speeds – see ‘Speedify’ on the Connectify.me homepage. – Best place to live in the Philippines? The three main places poker players including myself tend to stay in are Manila, Cebu, and Angeles City. Since Manila is the biggest city and where you will likely arrive I will start with it. The pro’s about Manila are that it is the capitol city and has the most to offer. It has the nicest restaurants and the best entertainment and the most things to do. The negatives of Manila are that it is the most densely populated city in the world so the traffic is horrible. You don’t even want to try and go out during a rush hour. If you have to get any errands done they will take a lot longer in Manila than other places. Also it’s more expensive relatively. Cebu is the 2nd biggest city in PI and has a nice middle ground of enough nice places without to bad of traffic. It is more expensive than other cities but not bad really. The nicest areas of the city are IT Park and Ayala and you can eat at almost any restaurant at either for $5 a meal. The biggest negative to Cebu is that the 3G/4G and Wifis are pretty much useless. Unless you luckbox your way into being at the right spot you really can’t plan to play poker on them. Once again you’ll probably need your own PLDT line. A friend stayed at La Guardia 1, an 8th floor studio there was around 13k pesos on a year lease, he used Airbnb daily / weekly rental to stay there for 50% more. 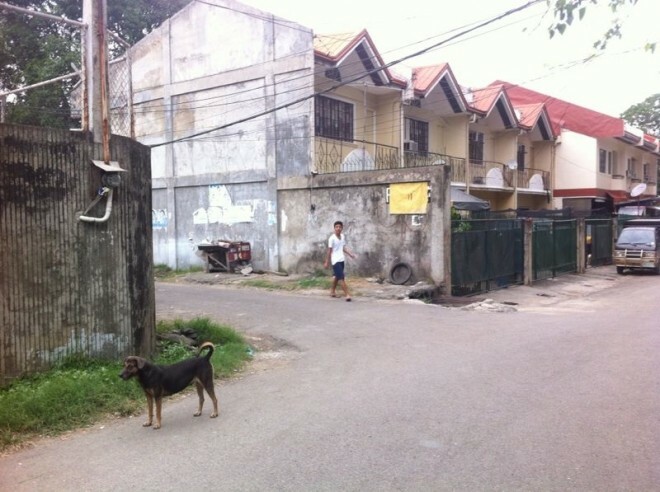 Angeles City is located right next to Clark Air Force Base so there is a big American and expat influence on the city. It has only a couple hundred thousand people in it so the traffic isn’t to bad and the places that any expat would go are all pretty close to each other. The main positive about Angeles is that the food is probably the best of any city I have been to in Asia and it is also very cheap. There are so many good foreign owned restaurants and you can find all different types of food. It also has a big red light district as most cities that are near to any military bases do. I also noticed that the internet seemed to be more reliable there, maybe because less people are using it. On the other hand the negative would be that there really just isn’t much to do at all. I find it is a good place to go when I want to put in a lot of hours playing. Subic is nearby and is another good “get away and grind” town. 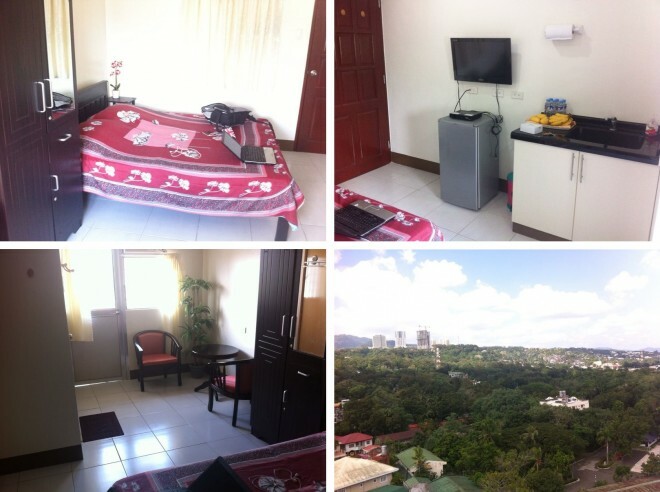 – Where to rent an apartment in Manila? The nicest and safest areas of Manila are Makati and The Fort. They’re also the most expensive. In Manila you should try to rent an apartment near to wherever you will spend most of your time to cut down on traffic. In Cebu you will probably want to be as close to IT Park and Ayala as possible. That is where the best restaurants are and they kind of feel like the center of the city to me. Of course that area comes with a price. Angeles is pretty small and I generally like to stay pretty near SM (the biggest mall in Angeles and a huge mall chain throughout PI) because I shop for all my food there and it is also pretty centrally located. In general anywhere in PI I think staying near the nicest malls is a good idea. – What about living in a poker house in the Philippines? There are some poker houses in Cebu and I also know of one in Manila. Considering one of the worst parts about living in PI is that rent costs much more than it should it is not a bad idea to try and lower the costs by renting with other people. – Cheapest place to live in the Philippines? As far as the three main cities that I have lived in and that most foreigners have lived in Angeles is the clear answer. Your apartment will be much cheaper, you won’t have to pay for taxis, and almost all of the food is fairly priced. I have had months there where I spent under $700. You can live very cheap just about anywhere outside of the nicest areas of Manila and Cebu City, or the popular tourist spots like Boracay. – How to live in the Philippines permanently? The Philippines has a pretty easy visa situation, it is sort of the middle ground between Thailand’s bad situation and Cambodia’s extremely easy time. For PI you have to go into immigration twice in the first 2 months after you have entered the country. Then you are able to extend for 6 months on two separate occasions. After that you have to go in and extend your stay every 2 months. Once you have been in the country for 3 years you must leave the country for a day, but you can just fly to any country nearby and come right back the following day. It is a bit of a hassle but not bad at all, especially now that they have allowed the 6 month extensions that just got put into affect in the past year. – the Philippines 30 day visa on arrival? Yes you can get a visa on arrival in PI you don’t need one before you enter. Technically it’s not a visa but 30 days of visa-free travel. Anyway you can stay free for 30 days without doing anything, just turn up. Used to be 21 days but that’s changed now. – Do I need an onward ticket to enter the Philippines? You do need to make sure that you have an onward ticket booked or you may not be able to board your flight into the country. Any cheap flight out will do. – How to open a Philippines bank account? To open up a bank in PI you will need to first get an ACR card (Alien Certificate of Registration). Some people have said they opened up an account without one but I have never been into a bank that didn’t clearly state an ACR card as a requirement for foreigners. If you stay here for any period of time you will come to hate the word “requirements” and know that once it is said there is no way to get around it. – How big is the the Philippines poker community? I’d say about as many grinders here as Cambodia or Vietnam, not a huge amount but some guys meeting up for drinks. Then some who keep to themselves. Less than Thailand. The infrastructure for getting around is not great as the Philippines is made up of over seven thousand islands, but you may be nearby some poker players if you’re in one of the three main expat areas. – Do you need to speak the language? No and that is one of the best reasons to choose PI. In two years here I can count on one hand the amount of times I got into some situation where I wished I had known the language, and even then it would have only saved me a few minutes of time. It could be beneficial to learn it, but it is not necessary at all. Any place that an ex-pat is likely to hang out there will be plenty of English speaking people to translate if you need it, but that almost never is an issue as most people have at least a passable understanding that will allow you to make any transaction that you need to make with them. Another reason why you don’t need to learn it is that there are so many different languages in the Philippines. For example in Manila and Luzon they speak Tagalog, but in Cebu they speak Visaya. Lots of dialects. If you are only going to learn one then Tagalog would be the way to go, but it is probably a waste of time and money for 99% of poker playing expats. – How to meet Filipina ladies? Walk up and introduce yourself. 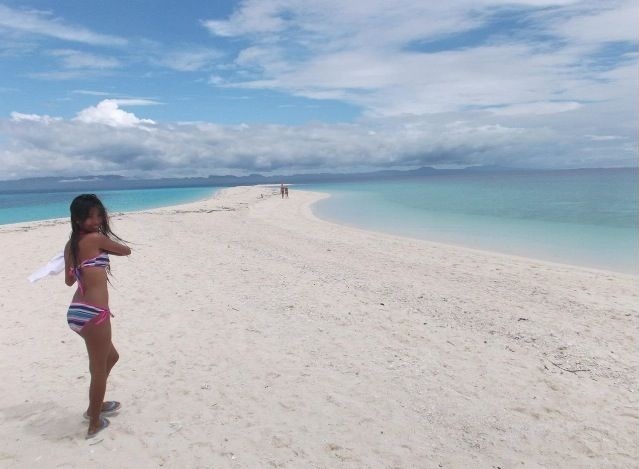 Filipina’s are extremely kind and friendly and they really enjoying making new friends. The girls in the Philippines are the number one reason to live here, you probably knew that already. They also happen to like foreigners so it is very easy to strike up a conversation with them. It really doesn’t matter where you are, you just need to approach them in a polite and respectful manner and there is a good chance they will be happy to talk to you. They may be shy to be seen chatting with a foreigner in public, or just shocked at the overall situation. You will see that in their reaction and if that is the case it is probably best to back off if they don’t seem interested. But most of the time they will! Filipinas have a South American type look, different to other Asian girls. – Any scams in the Philippines to watch out for? I’m not sure on scams but there is a lot of the begging culture that I mentioned earlier. If you’re meeting lots of people you should expect them to ask to “borrow” money from you and obviously should not expect this to be paid back. Unless you know someone really well you should just assume any loan you give out is a gift. For more info on living in the Philippines check out my blog at NomadPhilippines.com. Share this article to inspire more people considering poker in the Philippines to make the move!